While conventional wisdom suggests women reach a "tipping point" and are more likely to leave the workforce after having a second child, new findings by a Princeton University researcher show that, in fact, they are more likely to leave after their first child regardless of how many more times they give birth. However, women who ultimately have more children are always more likely to leave, even prior to having these later births. Using data from the nationally representative 1979-2012 waves of the National Longitudinal Survey of Youth 1979, Catherine Doren discovered that a woman's transition to motherhood—the birth of her first child—is the most important point in determining her future work patterns. Women who go on to have multiple children are particularly likely to leave at this transition, not at the second child, as the tipping point theory suggests. "If women are going to leave, they're going to leave at their first child," said Doren, a postdoctoral research associate with the Center for Research on Child Wellbeing and the Office of Population Research at Princeton. "So you're at the highest risk of exiting the labor force when you're pregnant with your first child." Each subsequent child is associated with a smaller increase in the probability of exit, she said. Doren's paper on the topic, "Is Two Too Many? Parity and Mothers' Labor Force Exit," will be published in the Journal of Marriage and Family and is available online. Doren, who has a Ph.D. in sociology from the University of Wisconsin-Madison, said she embarked upon the research after becoming curious about popular books and articles dating to the early 2000s suggesting that women—primarily late baby boomers, born 1957-1963—were leaving the workforce in large numbers after having children. "In the early 2000s, people were really worried about this phenomenon known as 'opting-out,' meaning that women were increasingly choosing to leave the labor force to have kids," Doren said. "There were a lot of articles in The New York Times. There was an article in The Atlantic that came out talking about how women who were highly educated, very privileged, could have done anything with their careers, were choosing to leave at higher rates than in recent years. That actually wasn't true." Mothers, in general, were continuing to work. "Labor force participation was not increasing at the same rate as it had in the past, but women were definitely not opting out in large numbers like people thought they might be," she said. Sarah Hayford, an associate professor of sociology at Ohio State University, said Doren's findings call into question the idea that women's decisions about work and parenting are all about time. "If leaving the workforce was only about the time demands of motherhood, we would expect the third birth to have a bigger impact than the second birth, not a smaller one, and we would expect that having a first child would have the same effect on everyone, regardless of how many more children they go on to have," she said. "The fact that women who go on to have larger families behave differently even after the first birth suggests that something else is going on," Hayford added. "It could be that women who have larger families are less invested in work, or they may have partners who are less supportive of their employment, or they may have jobs that are less flexible." Doren also found that women with a bachelor's degree or higher who have only one child are especially unlikely to leave the labor force. "The number of children women went on to have was especially important for work patterns of highly educated women, even around the first birth, which suggests there is something unique about women who are highly educated and have only one child," she said. "In fact, they might have had the child really late. They might have also decided at some point they were only going to have one kid with the intention of really putting a lot of energy into their careers." Hayford said Doren's paper could serve as a model for future studies that consider work and family behaviors as part of an interconnected series of decisions, rather than in isolation. 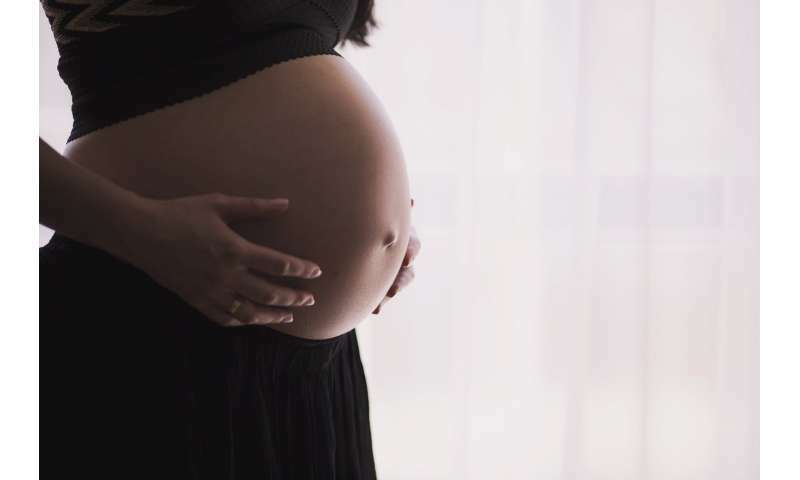 "Doren's approach illustrates that events that happen early in the childbearing years are connected to later experiences, and that accounting for these connections can help us understand these processes better," she said. "Is Two Too Many? Parity and Mothers' Labor Force Exit" is published online in the Journal of Marriage and Family.